This is a great kit for boys (and girls, too)!! It smells delicious and has an outstanding lather! 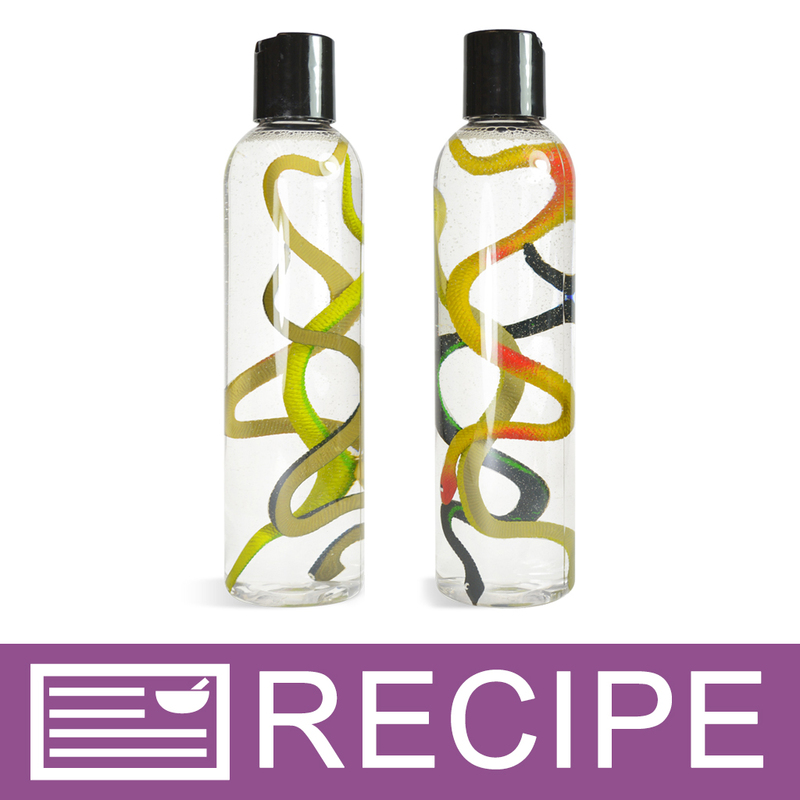 As an alternative, you can also label this product for use as a bubble bath or body wash.
Place 3 Snake Toys in each bottle and set aside. Add 33.75 oz. Shower Gel to measuring cup. Heat in microwave for 1 minute and gently stir. Repeat until shower gel thins. Add 0.30 oz. Fragrance Oil to shower gel. Stir to combine. Fill four bottles to 8 oz. by weight and use any leftovers to top off the bottles. Repeat three times to make twelve additional bottles. Allow to cool completely before applying caps. Ingredient Label: Water, Sodium Laureth Sulfate, Sodium Lauryl Sulfate, Cocamide MEA, Cocamidopropyl Betaine, Methylparaben, Methylchloroisothiazolinone,Methylisothiazolinone, Citric Acid, Sodium Chloride, Fragrance.